Any thoughts or opinions on any of this weekend's spring games bring em right here. WVU Spring game ought to be exciting. New head coach, new uniforms revealed at halftime, a little QB competition! I'll have tailgate in the Blue Lot set up around 8am because who turns down an opportunity to tailgate? Didn't know about the new uni's. Will be on the lookout for those. Wish I could go but it would be one hell of a trip from Texas Ha. That’s more than a mess. 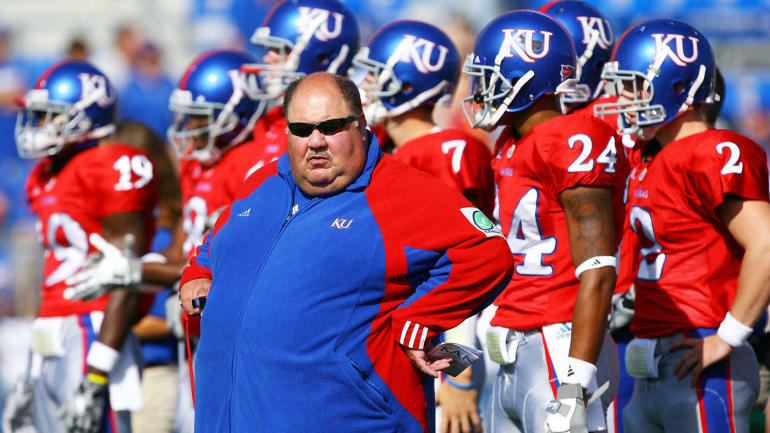 Also, that Mangino pic is epic. Not as good as his Orange Bowl picture though. WVU won the offseason coaching hires. Maybe so, but dang I was very impressed by Chris Klieman after seeing him in action yesterday with the team nad hearing players talk about him. For Sure. Lincoln Riley would be smart to keep it at night. I actually like the whole "Friday Night Lights" vibe from the game.